When Dan Lyons lost his job at Newsweek, he wound up taking a job at Hubspot, only to find that the web 2.0 tech culture was no match for him. He wondered if it was a match for anyone, save tech pro venture capitalists, toxic bosses, and software companies that sold employee monitoring software. But as he began to promote his book, he found his situation was not so isolated. The business, once the province of nerds and do-gooders, is now run by wealthy money who are intent on building unicorns, with an end game of pulling out as much money as possible. The lowest priority are workers, who are burned out by overwork and toxic cultures and out-gamed by business strategies such as Agile and Lean Startup. Regarding the horrifying treatment of employees, the thinking seems to be that since they will all be replaced by machines eventually, why invest? Lyons finds some companies that are doing the right thing - hiring employees instead of contractors, focusing on real quality-of-life issues instead of ping pong tables, and one VC (Kapor Capital) that even focuses on gap-closing investment. Just one, mind you. Lyons’ reporting is always enjoyable, even when I don’t exactly understand what working with a scrum master is. 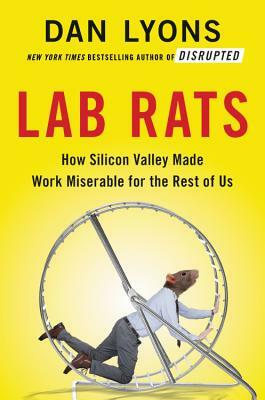 Let’s hope that Lab Rats inspires less unicorns and more zebras.